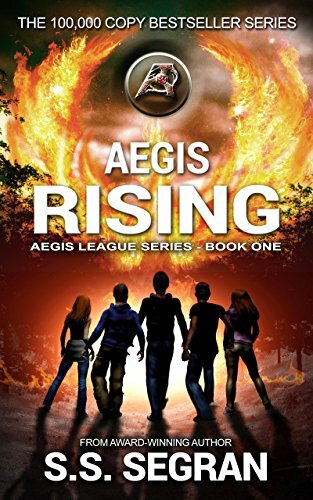 Aegis Rising is a multi-award winning story of friendship, adventure and survival in the face of an approaching apocalypse. A powerful order with ancient roots plots the end of humankind. All that stands between them and life as we know it are five unsuspecting friends from Montana. Jag, Tegan, Aari, Mariah and Kody are cast into an adventure of epic proportions when their small plane crashes in the remote forest of northern Canada. They are rescued and healed by a secret tribe with mind-bending abilities — and a terrifying divination. The group soon learns that not everyone in the peaceful village means them well, and a larger, more sinister force was at work. Discovering that the fate of the world now rests on their shoulders, the teenagers must learn to accept their new roles. Armed with powers entrusted to them by an ancient prophecy and the resilience of their enduring friendship, can the five companions survive the onslaught of a ruthless enemy and disrupt its malevolent scheme?